It is designed to work with 90% of the ATV’s on the market. 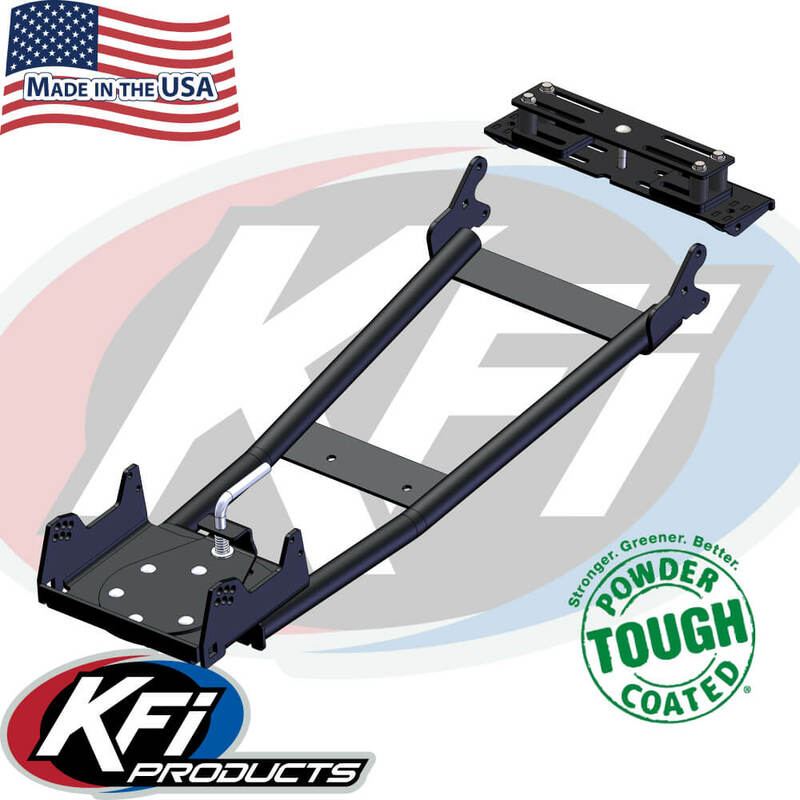 The KFI Hybrid Mount System is a unique mounting system in the fact that it mounts to the frame just behind the wheels, instead of on the front or middle of the machine. This allows the Hybrid Mount to work with 90% of the ATV’s Old and New. This mount will work with round or square tubing frames that we do not have a model Specific plow mount for. It is however NOT recommended to be used on any Can-Am ATV’s with the single tube Frame. It is also a great item to have on hand without having to stock multiple plow mounts to cover various machines. Please check the verified application chart for your machine fit-up. This chart is ONLY a list of verified applications and there are many ATV’s that have not been verified that range back into the 1980’s. Please call with questions at 1-877-346-2050 during our business hours of Monday-Thursday 8:00am-5:00pm and Fridays 8:00am-1:00pm. (Click Here) for a template you can use to check your machine compatibility. The included Push Tubes have the same features as our Standard ATV Tube System #105000 (page 20). This kit is NOT recommended to be used on any Can-Am ATV’s with the single tube Frame. Call or check our website for a template you can use to check your machine compatibility.